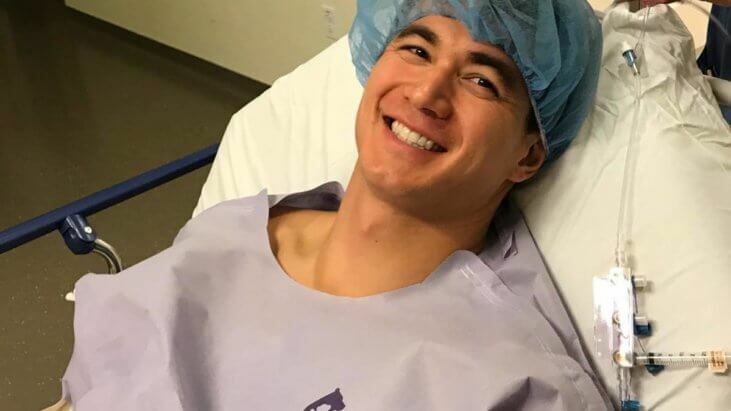 Nathan Adrian is one of the best athletes on the planet. He’s won eight Olympic medals in swimming, five of them gold. Now he’s fighting testicular cancer, and wants to raise awareness for the disease. Adrian was born in Bremerton Washington into a family of swimmers. His sister swam at Arizona State University. His brother swam at the University of Washington. In the 2016 summer Olympics in Rio, Adrian swam and won a gold medal in the 4×100-meter freestyle relay alongside Michael Phelps. Adrian announced his diagnosis on Instagram and has given periodic updates. The latest says he’s had surgery, and is waiting for some results, “Quick update: I underwent a laparoscopic RPLND procedure yesterday which means they took out some of my lymph nodes that the cancer may have spread to with the help of a robot.” That means that he had robotic surgery that was less invasive than regular open surgery, and is usually a lot more comfortable for the patient afterward. The story will remind a lot of people of Lance Armstrong, who was diagnosed with testicular cancer in 1996, right in the middle of his professional bicycling career, and had to have one of his testicles removed. He also opted for an alternate mixture of drugs to avoid lung toxicity associated with bleomycin, one of the main drugs in the standard treatment. At the time, Armstrong said that this treatment mixture was the reason he was able to resurrect his cycling career.